Fur Industry | "OUR WORLD"
Good news for the start in 2019! From 2019, the keeping of animals on fur farms will be banned in the Czech Republic. Thus, the Czech Senate confirmed a law passed in June 2017. In countries such as Austria, Great Britain, the Netherlands, Switzerland, Slovenia, Croatia, Japan and Macedonia there is already a fur ban. In the Czech Republic, this should save around 20,000 animals – mainly mink and foxes – per year, which are currently kept in nine fur farms. These could receive compensation for this from the Ministry of Agriculture. An opinion poll published in April 2017 found that 83 percent of Czechs supported the ban. Germany will soon be fur-free! 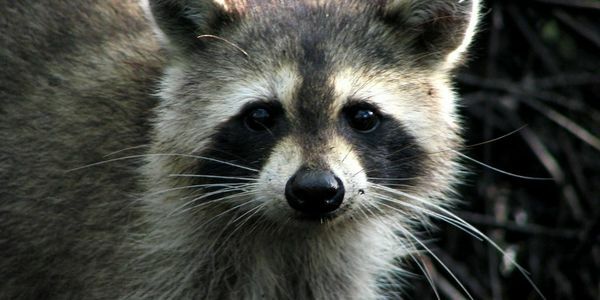 Sign Petition: Tell Rhode Island to Ban Fur! As a passionate group of students fighting for the ethical treatment of animals, we urge you to initiate a ban on the sale of fur in Rhode Island. Animals are abused, slaughtered, and skinned for a cruel commercial enterprise. Rhode Island must follow in the footsteps of Los Angeles, a progressive city that successfully banned fur. Times are changing, and animal cruelty must no longer be tolerated, especially not by such a compassionate state as Rhode Island. Please sign our petition asking the Rhode Island General Assembly to introduce and pass legislation to ban fur in our state. I have added our target, David Cicilline, to this petition! He is our congress representative here in Rhode Island. Thank you for all your support! As the animal cruelty fueled by the fur industry has become widely publicized, an ever-increasing number of consumers have begun demanding that brands abandon the use of real animal fur in their clothing and accessories. In response to this mounting pressure, many major fashion houses have chosen to completely do away with the controversial practice of making garments from the skins of dead animals. Just to name a few iconic brands that have stopped contributing to the senseless killing of innocent creatures for their fur, there’s Stella McCartney, Calvin Klein, Gucci, and Vivienne Westwood. And now, British fashion giant Burberry has joined the list of animal-friendly brands! Starting with the Riccardo Tisci debut collection, which Burberry is set to release later this month, the company has pledged to stop using real fur in its clothing and accessories and to “phase out existing real fur products.” Desiring to become an all-around more ethical and environmentally-conscious brand, Burberry has also promised that it will no longer burn surplus clothing as it has done in the past. The luxury fashion icon’s decision to amp up its efforts to protect animals and the Earth comes at quite a convenient time — right as the 2018 New York Fashion Week begins. While the timing may not have been intentional, Burberry’s recent announcement will surely send a clear message to any designers involved in the show who are still perpetuating the inhumane fur industry. Humane Society International (HSI) UK, the organization at the forefront of the #FurFreeBritain campaign working towards a ban on UK fur imports, has unsurprisingly applauded Burberry’s decision to ditch fur. We couldn’t agree more that it’s time to shut down this cruel industry for good and make the use of real animal fur for “fashion” a thing of the past! If you’re on the same side of this issue, please sign this Care2 petition urging Dolce & Gabanna to be the next luxury brand to say goodbye to fur! That mohair sweater might not feel so good if you know what it took to make it. South Africa supplies 50 percent of the world’s mohair — the long, silky fibers produced by angora goats. This mohair is highly desired for its luster and sheen as well as the ability to both insulate from the cold winters and wick away moisture in the summers. Recently, however, an undercover report has sheared bare the mohair industry for what it was. One full of animal abuse violations and needless cruelty. After news broke of the widespread goat abuse, some of the world’s top apparel companies have decided to stop using the fabric in their products. One of the biggest names to do so is Gap Inc.
Care2 wants other apparel giants to follow in their footsteps and take a stand against animal cruelty, inclding giants like PVH Corp. — the parent company of American classics like Calvin Klein and Tommy Hilfiger. In the past, both brands have taken a stand against using fur in their products and now that the word is out that the mohair industry is just as cruel, we think it’s time they cut the fabric from their lines as well. Please join us in standing up for animal rights and ask PVH Corp. to require its brands to do the same. Sign the petition and ask PVH Corp. to stop using mohair in their brands. Millbank Fur Farm — the Ontario, Canada firm that is responsible for supplying pelts to the notoriously cruel fur industry — has just been charged with 14 counts of animal cruelty. The charges, ranging from medical neglect to causing undue distress to the animals in their care come after a recent exposé shined a light on the horrible conditions their minks endure. What’s even more shocking is the fact that while undercover, activists didn’t see a single veterinarian. Not one single vet at a farm that houses around 40,000 minks. After the findings came to light, the Ontario Society for the Prevention of Cruelty to Animals took action by filing the charges. It seems like the farm, which clearly has no issue with murdering animals just for their fur, also has no qualms about letting their animals suffer during their short lives. Ontario officials should have the proof they need to realize this farm is not only raising, but abusing animals. Millbank Fur Farm needs to be shut down. Please sign the petition and ask the government of Ontario to close Millbank Fur Farm. Petition: New York Magazine, Don’t Glamorize Fur! In recent years, the fashion industry has grown colder to the use of fur in clothing, with many designers embracing cruelty-free fashion. 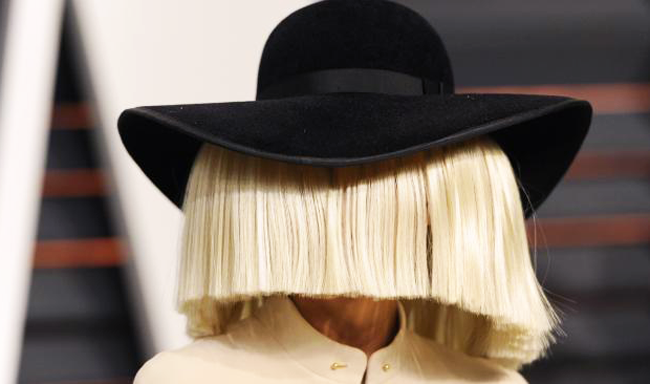 Georgio Armani, Gucci, Michael Kors, Vivienne Westwood, Stella McCartney, Calvin Klein, and Versace have all agreed to stop using fur — and now even fashion magazines are hopping onboard. InStyle magazine just announced that it is officially fur-free and will not feature photographs of fur in its editorials or advertisements. Now, we’re calling on New York Magazine to make the same commitment. Sign now and tell New York Magazine fur is out! The fur industry is riddled with animal cruelty and suffering. Every coat, bag, or shoe that uses fur comes at an extreme cost to the animal it belonged to before. According to PETA, animals on fur farms are contained in tiny, cramped wire cages until they are skinned alive. To minimize damage to the fur, animals are anally and genitally electrocuted, a gruesome and painful process. Some animals are trapped in the wild using steel-jaw traps, where the animals are left suffering with injured limbs until they eventually die, sometimes days later. If there’s a cruelty-free way to obtain fur for clothing, we haven’t found it. Cruelty is out, fur-free fashion is in. Please sign and share this petition demanding that New York Magazine commit to keeping fur out of its editorials and advertisements. 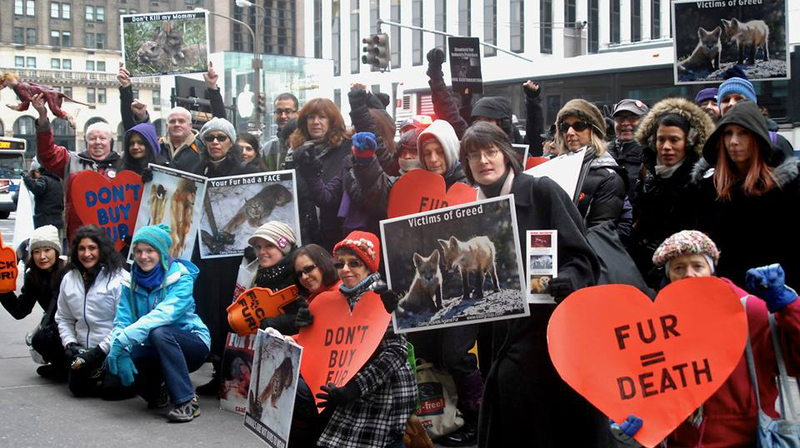 Another Fashion Giant Chooses To Make Compassion The Fashion; Donna Karan & DKNY Go Fur-Free! WAN is thrilled to announce that another fashion giant Donna Karan and DKNY have decided to make compassion the fashion and Go Fur-free starting next year. Morris Goldfarb, CEO of G-III, Donna Karan and DKNY’s parent company, revealed the decision on Thursday in a Fourth Quarter and Full Year Fiscal 2018 Earnings Conference. The company came to its decision due to its relationship with the Humane Society of the United States. Donna Karan and DKNY Joins Gucci, Armani, Tommy Hilfiger, Versace and Michael Kors just to name a few of the high-fashion giants that have made the important decision that animal fur is cruel and not fashion. San Francisco has officially become the largest city in the United States to ban the sale of fur. The news follows a City Board of Supervisors meeting earlier today in which members voted unanimously to pass a measure that prohibits the sale of fur clothes, accessories and products in the city. The ban, which goes into effect on January 1, 2019, even makes it difficult, if not obsolete, for residents to purchase fur online because items with fur will not be able to be delivered to any San Francisco address. As per a late amendment, furriers and retailers are able to sell their current inventory until January 1, 2020. Really? This important law should go into effect immediately. According to the local CBS affiliate, the San Francisco Chamber of Commerce claims that fur sales in the city are estimated at an annual $40 million. Similar bans have been already instituted in the California cities of West Hollywood and Berkeley. Here’s to many more cities throughout the country and world following suit! Prime Minister Theresa May received an urgent letter today urging her to introduce a U.K. ban on animal-fur imports. Dame Judi Dench and Ricky Gervais were among the 31 British celebrities to sign the letter which comes as a U.K. Government and Parliament petition nears its March 23rd deadline to garner the 100,000 signatures necessary to ensure a parliamentary debate on the U.K. fur trade. Fur farming has been illegal in the U.K. since 2000, but since then Britain has imported hundreds of millions of dollars worth of fur from countries such as China and Poland, where animals are typically bred in appalling conditions on fur farms. The stars signed the open letter to show their support for the #FurFreeBritain campaign run by a coalition of prominent animal charities including the Humane Society International U.K., the RSPCA, People for the Ethical Treatment of Animals (PETA), Four Paws, The Jane Goodall Institute U.K. and Open Cages among others. More than 100 million animals suffer each year for the global fur trade, most of them reared in terrible conditions on fur farms. 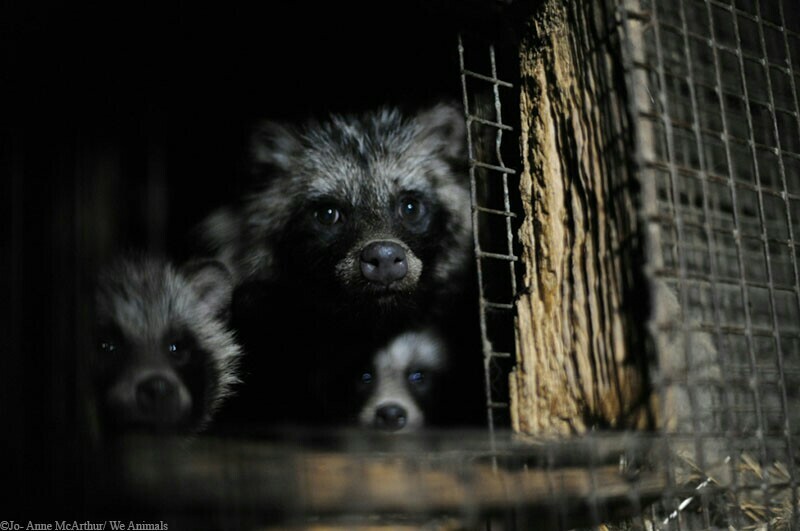 Naturally, wide-ranging species such as raccoon dogs, minks and foxes are subjected to physical and psychological torment in small, barren cages for their entire lives before being killed by gassing or electrocution and then skinned. Wild animals caught for their fur, such as coyotes, fare little better as they languish in agony in cruel traps for hours or even days before being shot. Although fur farming is outlawed in the U.K. and EU, regulations ban imports of fur from domesticated cats and dogs and from commercial seal hunts. Britain still imports and sells the fur of a variety of other species including: foxes, rabbits, minks, coyotes, raccoon dogs and chinchillas. Despite opinion polls showing consistently high levels of public disapproval of fur, regardless of species; on average, 80 percent of British citizens believe that it’s unacceptable to buy or sell animal fur in the U.K. The #FurFreeBritain campaign is calling on the government to make the U.K. a fur-free zone by extending the existing ban on imports of cat, dog, and seal fur to all fur-bearing species. Sign this important petition so that it can reach the 100,000 signatures needed. Petition: Burberry: Stop selling real fur just for fashion and profit! Pledge to Boycott Burberry until they stop selling fur for fashion! Caring Activists Against Fur works with the aim of creating awareness of a very sensitive, yet often unacknowledged, issue: the fur trade industry disregards everything but profit. Innocent furry animals are slaughtered senselessly, often by people who showcase complete disregard and lack of respect for an animal’s life. 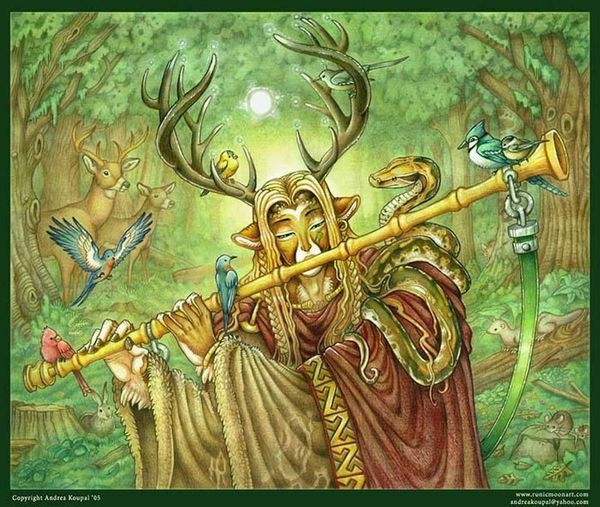 Unfortunately, these creatures do not have a voice of their own and cannot speak to defend their right. This is why Caring Activists Against Fur works to educate, engage and spread the word about the horrors of the fur trade. The battle against the fur industry still rages on! Find out more about CAAF’s activities as well as info on the protest schedule and other media! NY/NJ 2017-18 Fur Protest Schedule! WHERE: Steven Corn Furs, 358 NJ Route 17 North, Paramus, NJ, 07652-2906. WHEN: Saturday, November 11th, 2017. Sundays, Nov. 12 & 19th – The Fur Source – 3 West 57TH NYC – Sponsor: The Animals Battalion – “NYC Animal Rights” on http://www.meetup.com for information. Thank you to all activists who are speaking up for fur bearing animals! The battle against the fur industry still rages on…. Heart-wrenching footage appears to show foxes dangling in the air from one leg as they are electrocuted to death at a fur farm in Poland. Demand that these innocent animals be protected and fur farms banned. “A LIFETIME” is a new film about the brutal short lives of two foxes, brothers Borys and Eryk, born and killed on a Polish fur farm. Animal Defenders International (ADI) placed hidden cameras on the farm to capture this rare insight into an industry that kills more than 100 million animals a year. Three arctic foxes are followed from birth on the Polish fur farm – ADI named them Borys, Eryk and Aleska. We see them nursed by their mother and Aleska taking her first halting steps as a tiny cub. Their world is a small wire cage. After a few weeks their mother is removed and we see the growing cubs explore their world and play together. As their coats change to the thick white fur that would protect them through the winter months, their days are numbered; their fur is a prized product. At less than seven months of age, Boris and then Eryk are dragged from their cage. They have seen other foxes being killed outside their cage and there is nowhere to hide; desperate to avoid their fate, Borys, Eryk and Aleska try to run from the farmer. A terrified Aleska watches as her brothers are pulled from the cage by their tails, one at a time, hung up by a back leg, electrocuted and their bodies thrown on a cart to be skinned. Aleska is spared; she will breed next year’s foxes, her babies will be taken away from her and killed like her brothers. This is the real cost of fur – when you buy fur, you buy cruelty. Poland is the fourth largest producer of fox fur in the world – almost all is exported, with the United States being one of the biggest importers. ADI’s previous investigations of fur farms in Finland, the world’s largest producer of fox fur, have shown similar suffering and cruel deaths. 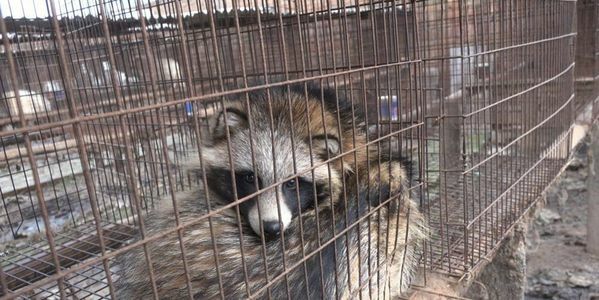 The ADI team has also filmed inside farms in the United States and UK; although the UK has banned fur farming, it remains a major dealer, importing and exporting fur. ADI’s findings reveal a cruel industry built on an image of beauty and luxury, desperately hiding the suffering of sensitive, intelligent, animals being farmed in filthy, intensive factory conditions or trapped for their fur. Wild foxes are forced to live in small bare wire cages. Excrement falls through the cages and piles up beneath them. Animals farmed for their fur are denied their most natural behaviors, the chronic deprivation and extreme confinement causing both psychological and physical damage. Babies are torn from their mothers at just a few weeks old. The stark, filthy fur farm – a far cry from the complex, enriched wild habitat they deserve – takes a toll on their mental and physical health. After only seven short months, baby foxes are dragged from cages by their tails, hung upside down and electrocuted in front of their families and other animals on the farm. The animals are aware of what will happen to them and make desperate attempts to evade capture in the small cage and cling onto the mesh. Animals not killed outright, despite industry claims, and are electrocuted a second time. During ADI’s Polish investigation, one fox completely regained consciousness, ran away and found somewhere to hide. The fox was dragged from his hiding place and hung up again but desperately resisted the probe that he now knew, would kill him. Worldwide every year over 110 million animals are killed on fur farms, with more than 16 million trapped in the wild for their fur. Over 15 million foxes are killed in a year, usually for trinkets, trims and accessories but up to 35 foxes can be used to make a fur coat. Recently, products being sold as “fake” have been found to be real fur – perhaps unsurprising that an industry that treats animals as they do, would lie about it to fool the public into buying their cruel products. Naturally shy and secretive animals, in the wild foxes have large territories, live in dens below ground in open country and eat a wide range of foods. Arctic foxes like Borys, Eryk and Aleska are nomadic, travelling many miles each day over the ice, enjoying the existence for which they evolved. On the Polish farm ADI documented foxes with bent feet and overgrown claws, the result of a lifetime stood on a floor of wire mesh; individuals who suffered tail loss, caused by chewing due to stress; an animal with a weeping eye, swollen with pus, that was left untreated; young foxes attempting to play but restricted by the confines of their cage; animals chewing and pawing at their cages in a desire escape and to express themselves in their natural digging behaviors. The full report is online here. Plus information on how to stop the fur trade. Help end the cruel fur trade! 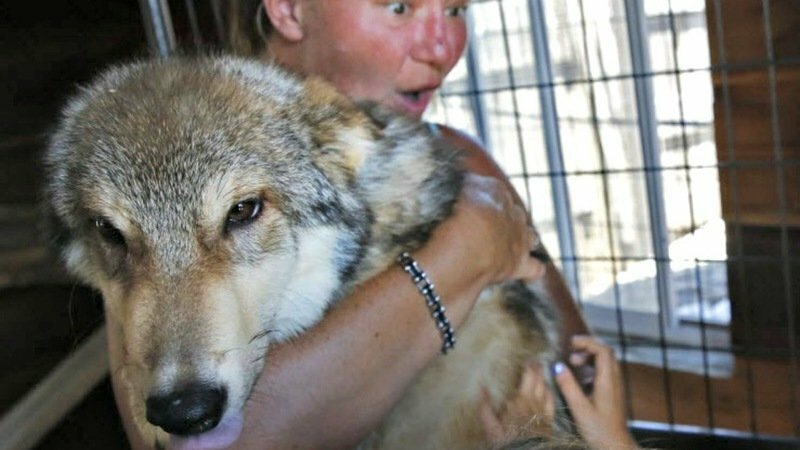 Sep 12, 2017 — At last night’s Eureka Township’s closed door meeting, Terri Petter asked to be able to retain ownership of 100 animals, 50 of which would be wolves. Her offer was rejected by the Township. She now has 21 days to appeal to the Supreme Court. The Supreme Court can decline to hear the appeal. Czech Parliament has passed a bill that will ban fur farming by 2021. The bill still needs to be approved by the Senate, but it is looking promising. Sign this petition and show your support of this new bill that would spare 20,000 lives annually from unnecessary pain and death. Animals are being tortured and killed to make frivolous fur products for a major international retailer. Demand the company stop profiting off the bodies of dead animals. 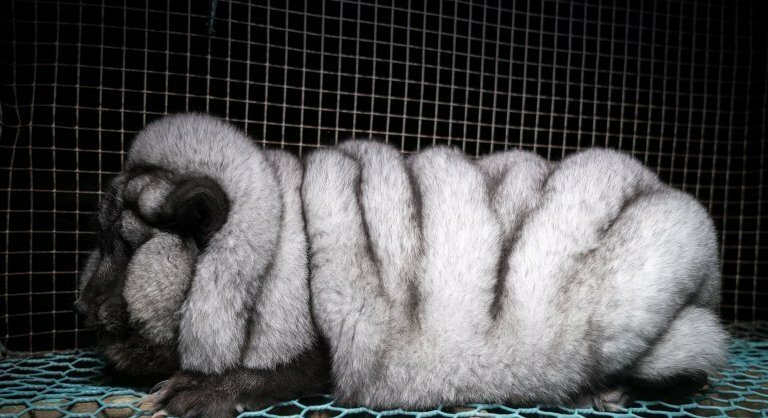 Animals held on fur farms are often exploited, neglected and abused, but this hasn’t stopped a famous designer from continuing to use fur on its products. Sign this petition and demand that Michael Kors stop supporting the cruel fur trade and no longer use fur on its products. For the first time in centuries, not a single Norwegian boat is heading out to kill seals this winter. Countless animals are tortured and killed for their fur every day. There are many cruelty-free materials available and this unnecessary torture should not go on any longer. Sign this petition and demand Dior stop using fur in its products. 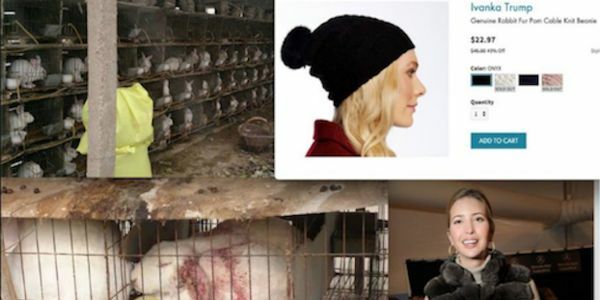 Donald Trump’s daughter and close advisor, Ivanka, sells rabbit fur in her clothing collections despite a recent investigation reportedly showing rabbits tortured and skinned alive on fur farms. Urge the Trump family to stop animal abuse. Urge online retailer Fab to stop selling cruelly produced angora wool! Fashion designer Kym Ellery has finally seen the light and joined the slew of designers who have pledged to drop fur from their collections. Hundreds of snow leopards are killed illegally every year in remote mountains from China to Tajikistan, further endangering the big cats that number only a few thousand in the wild, a report said on Friday. Prices ranged up to $10,000 for the carcasses, prized for thick light-colored fur with dark spots, according to the study by TRAFFIC, an international network which monitors wildlife trade. An estimated 221 to 450 snow leopards were killed annually since 2008 despite bans in 12 Asian nations where they live, it said. TRAFFIC said there were many uncertainties because the leopards live in inaccessible regions including the Himalayas. About half were shot by farmers to protect goats, sheep and other livestock, with many carcasses then sold, it said. Others were targeted by poachers or trapped in snares meant to catch other animals such as deer. Still, it said there were some successes in protecting the animals. Only one leopard skin was found on sale in the central Chinese city of Linxia in a 2011 survey, against 60 in 2007. A Red List of endangered species estimates the global population of snow leopards at between 4,080 and 6,590. International trade in snow leopards has been banned since 1975. “Untamed … the Snow Leopard, provocatively dangerous. A mankiller. Born free in the wild whiteness of the high Himalayas only to be snared as part of the captivating new fur collection”. © 2016 Reuters. All Rights Reserved.